Increasing debates on the high-speed rail system proposed by the Virgin founder are increasing worldwide. “Hyperloop” trains are pods travelling over an electro-magnetic track enclosed in a low-resistance tube with very low air pressure. With around 20 years to be built, a ticket on the Hyperloop will be around USD20 according to the CEO of Tesla Elon Musk’s projections. In Europe, proposed European routes are in Germany, the Baltics, Corsica-Sardinia, and Spain, Netherlands and Poland. In the UK, the winning routes are Edinburgh-London and Glasgow-Liverpool and Glasgow-Cardiff. The hyperloop speed is 760 mph (1,200 km/h), allowing for a travel time of 35 minutes, which is significantly faster than current rail or air travel times. Thus, Hyperloop trains will indeed transform airport travel in the coming years by linking new cities with existing infrastructure. The Hyperloop travel can cause destruction to the short haul air travel in Europe powered by the low cost carriers which is term can lead of the loss of the passengers and consequential loss of aero & non-aeronautical revenues. 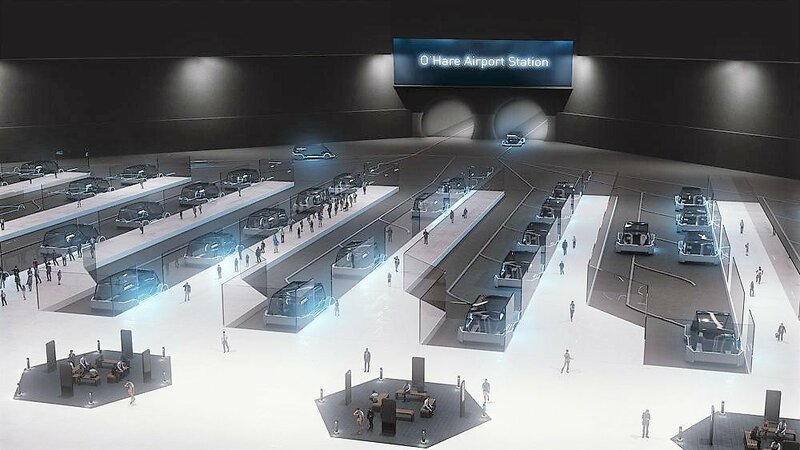 Chicago Infrastructure Trust are now designing, building and financing an O’Hare Express service. The Chicago Express Loop will provide faster transportation between O’Hare Airport (Terminals 1-3) and Block 37 in downtown Chicago, avoiding the traffic and ensuring environmentally-friendly public transportation systems. Since demand for rail & air travel over the past 20 years has exceeded government and industrial projections, the Hyperloop could help address growing transportation needs.